Curry fish balls with radish is my favourite childhood street food in Hong Kong. It’s very tasty and easy to make it at home. 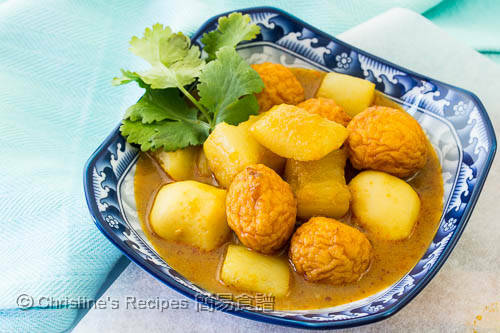 Curry fish balls with radish were my most favourite childhood street food in Hong Kong. 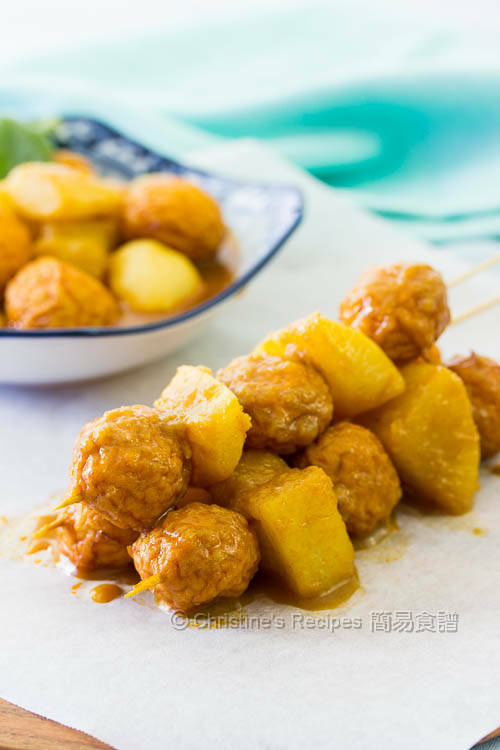 The street hawkers often used the deep-fried fish balls and boiled them in delicious spicy curry sauce. I couldn’t help myself to buy some on the way back home after school. 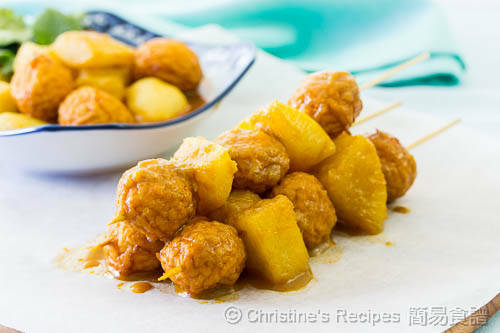 Whenever these curry fish balls are served in any parties, they’d be gone very quickly. This batch was made for a family gathering. The weather was a bit cold. So I kept them warm in my vacuum pot. When the pot cover was open, the aroma of coconut milk and curry drew everyone’s attention. People were curiously asked what’s inside the pot. Each fish ball absorbs the spicy curry sauce, making you want more. Yes, they are really addictive. The curry sauce is not too hot for us, just a mild kick. If you have young kids at home, you may use less curry paste and adjust the amount to your liking. Prepare a large pot. Saute the ginger, shallot and garlic over medium-high heat. Add in the curry paste and radish. Stir fry until aromatic. Pour in the chicken stock and water. Bring it to boil. Cover and cook for 15 minutes. Add oyster sauce, light soy sauce, dark soy sauce, coconut milk and sugar, then followed by fish balls. Cook for further 10 minutes. Serve hot. 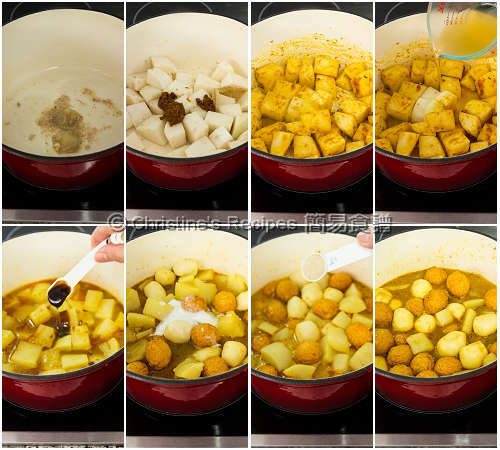 You may briefly blanch the deep-fried fish balls, the yellow ones, in boiling water beforehand in order to remove the excess oil. I added some boiled fish balls, the white ones, for variety. You may use all deep-fried fish balls instead. This time, I tried Tean's gourmet chicken curry paste. We loved the taste. You may use another brand you like though. Both kinds of fish balls are available at Asian grocers. YUMMY! I love curry fishballs. Which brand of the fried curry fish balls did you purchase? I used 客家魚蛋. Got it from a nearby Asian store. Looks so good! What brand of curry paste did you use? I used Tean's Gourmet 田師傅, from an Asian grocer. Is the taste chilli/hot/spicy enough? (like the ones from shops) Or do you think we need to add chilli powder as well? No idea how hot you're after. Everybody has different liking. You may try adding bit by bit of the chilli powder until you're satisfied.